This is a highly detailed and well illustrated sign. 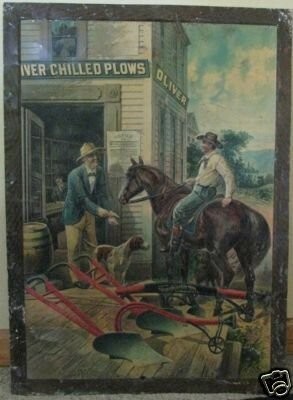 The sign shows a man with a horse talking to a man with a dog. The sign is for Oliver Chilled Plows.